Social networking site Google plus is not only a way to make friends and remaining in contact with them but also playing an important role in offering a great opportunity in growth in education by collaborative work and communication. Many universities has now recognized the potential of Google plus and have included it in campus for use in everyday life. Google plus is offering lots of applications and formation which are very helpful. Here are some ways in which universities are using Google plus and are improving their level. This is the best way for communication and universities are very excited about this new involvement in their campus which will bring all together. If you are not feeling like going to campus or office because of some problem then you need to worry about it. You can make yourself virtually available there anytime. 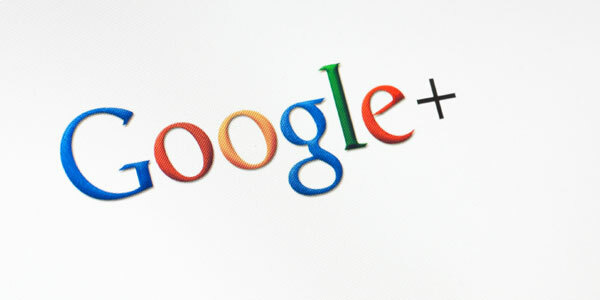 Google plus provides you a facility of searching your queries whenever you are logged in. Professors and experts can upload their researches and their results which can be collected by students whenever they need it. By using Google plus one can share every information related to campus. Schools like the University of Melbourne use Instagram and other photo apps to share images of their campus. For all those board members who sometimes find it difficult to give their presence in meetings and when it is impossible to collect all members for a meeting then this site will help for sure without actual appearance in a room but face to face. Google Plus Hangouts can be called a perfect place for alumni to connect with other student, faculty, and staff, building connections and facilitating opportunities within the university community. This is easy and simple too. Google Plus allows for lots of idea, information and thought sharing within departments, colleges, and the university at large level. Professors can now get feedback on ideas from colleagues without any problem and without waste of time, and get it fast so that they can implement them immediately and whenever they want. Universities can share photos and highlights from conferences in real time whether they are hosting or participating by offering a great way to promote the events right as they happen or publicity you can say. Using Google Plus makes it easier for professors to ask for feedback on classes, exams, and more, using that information to construct courses for the future and preparing in advance. Every time when there is some extracurricular activities in campus it often require lots of meetings and communication that consumes lots of time from college students who often don’t have a whole lot to spare. But with help of Hangouts, club officers can hold group meetings without having to get together on campus. Because of some reasons not every employer can make it on campus for career fairs, but most of them can connect through Google Plus. By using Hangouts, employers can meet in small groups with students who are interested in working for them. For far-distanced students, it becomes difficult to stay connected to campus. But Hangouts make it easier for students studying abroad to connect with campus, especially students who might be interested in going abroad in the future. It helps faculty, staff, and students to collaborate and communicate and share as a group with the use of Google Plus Hangouts. Now a day lots of universities are using Google Plus to highlight the achievements of current and former students, as well as professors for their publicity. Georgia Tech College of Sciences regularly shares great news about successes within the university community. Here opens the world of Google Plus to students by sharing your circles with others. With this facility, you can ask your field students to follow everyone in your field circle and learn from the experts you’ve connected with. One more advantage of Google plus is this that some professors post assignments on Google Plus and offer a way for students to get clarification and updates in a really convenient and effective way. University libraries offer a convenient online reference desk. You can set times, or you can stay connected all the time for always-on help from your friendly college librarian. With the help of Hangouts, professors can host chats a few nights a week before big exams, offering review sessions and helpful study hints for students to use which will help students in studies a lot. Google+ offers universities the opportunity for giving all interested and potential students and parents a virtual tour of campus, highlighting achievements, attractive campus spots, amenities and more instead of outdated brochures. One more thing which can be done is that universities can highlight some of their most interesting and popular student groups on Google Plus which will attract prospective students and boost the membership of worthwhile activities. In order to achieve growth in education some professors have asked their students to sign up for Google Plus so that they can create class Circles, sharing information, collaboration, and offering an outlet for interaction between students. This will help for sure. Google plus Instead of getting lost new and old material, students and professors can access posts by date. This makes it easy and helpful when it comes to reviewing materials for test time. You can promote your researches and pages. At Georgia Tech, students use Google Plus Pages to promote the latest updates on their research journal. At times before it was difficult and costly to communicate with experts but now Instead of paying to fly experts in from around the world, universities can now use Google Plus to connect with experts and discuss topics virtually. By using Google plus admissions counselors can lead a hangout which offers a great time for prospective students to stop by and discuss the college and admissions process. Students are very much benefited of this social networking site. Students like those at Boise State University can post Named Hangouts to make group study sessions available for their classes. Even impromptu sessions before test time are possible with Google Plus. You can share all activities related news by using Google plus. Universities like Auburn love to share updates on campus activities like football, allowing prospective students and fans to keep up with what’s going on, and get a glimpse into the lifestyle of the campus. It will also help fresher. Before coming to campus, freshmen often try to find a way to meet other students, but that’s not an easy thing to do. With Google Plus Hangouts, new students can learn to communicate and build relationships before school starts. You can also take the advantage of this facility that is Google Plus Sparks makes it easy to gather news and information about a variety of topics, including all of the news that’s being shared about the university. Google plus much like Hangout office hours, professors and TAs can host tutorial sessions for students to give them knowledge on material covered during class time without having to actually go to campus and participate in person by virtually participating. Google plus helps you in marketing and learning marketing skills. Universities are seeking out future student’s right where they are on Google Plus. Drake University has used Google Plus to target prospective students, sharing videos about a typical day at the university. Although the internet has played a very vital role in improving the quality but I believe class room teaching has always been and will always be superior method of teaching.